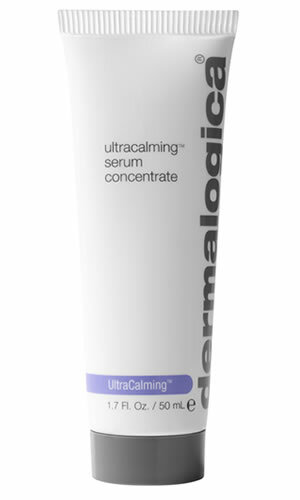 UltraCalming Serum Concentrate is Dermalogica's antidote for skin sensitivity: a super-concentrated serum that helps calm, restore and defend sensitized skin. Contains no artificial fragrance or color. Contains our exclusive UltraCalming Complex to help reduce sensitivity, redness, irritation and inflammation. Helps interrupt inflammatory triggers to prevent flare-ups. A unique blend of peptides help reduce redness and extracts to help fortify skin's barrier lipid layer, protecting against assaults that trigger redness and irritation. Acetyl Tetrapeptide-15 targets neurosensitive skin by helping reduce painful sensations. Boerhavia Diffus (Red Hogweed) Root Extract targets neurogenic inflammation, restores tissue integrity and soothes to restore skin's normal sensitivity level for immediate and long-lasting effects.